Kibo: Teaching Robotics to kids? I’m going to be punch drunk on the number of initiatives to support teaching programming to young kids, so my priority is to see ScratchJr make it into UK schools – if indeed the teachers think it would be a positive influence to fire up the imagination of their classes of 5-7 year old prospective programmers on their iPads. 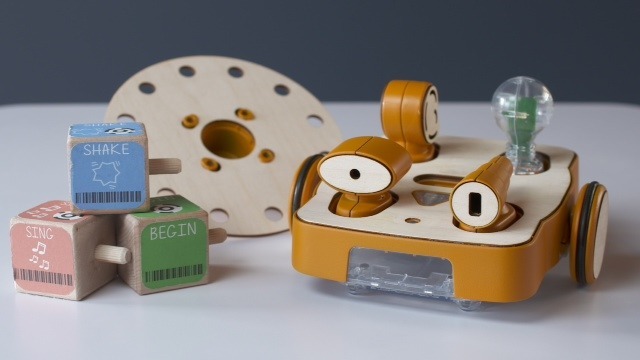 That said, another US initiative has gone live on Kickstarter, this time for Kibo – a robot that kids program with a sequence of command bricks. No compute hardware needed with this – it’s all in the box. The full details (and funding page) can be found here. They’re already halfway to their target. What do you think?